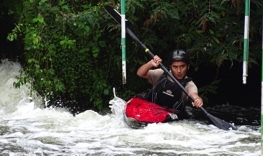 A Great Weekend For Shark Paddlers! 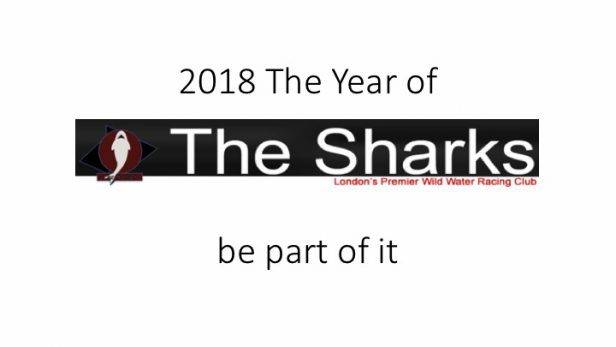 First of all a big Thank-you to everyone who made this event possible, it was another great land mark in The Shark story. It was the 4th slalom we have hosted at Harefield and the 7th slalom we have hosted (having done 3 at Shepperton). 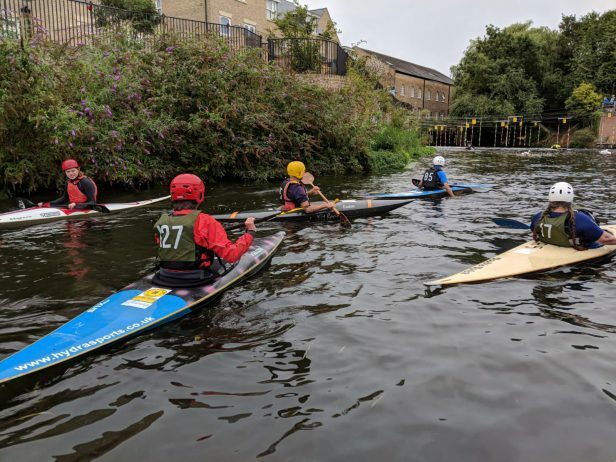 Saturday saw an entry field with 47 starts, the water was good and the course was a challenging enough to define the difference between paddlers standards, with just one clear run; well done Jasmine Wilde from Frome CC, who was second in the Women’s K1 division 3 and first Junior 10. Everybody who started go a finish although there were nine capsizes and one of those went on to win promotion. And after the past two days in West London, the weather was kind. Shark Results on Saturday were looking good: in the Men’s division 3 K1 event; Alex Aldred came third overall and 1st Junior 14, Khaleel Zainddin was 6th and first J18, Sam Liddy came 10th and third J14. Result of the day though must go to 80-year-old Richard Davis from one of our partner clubs, Itchen Valley who came 4th! Sport for all, no excuses, get out there and do it! 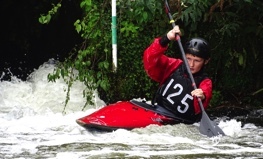 James Read was paddling C1 in Men’s Division 3 and came first. 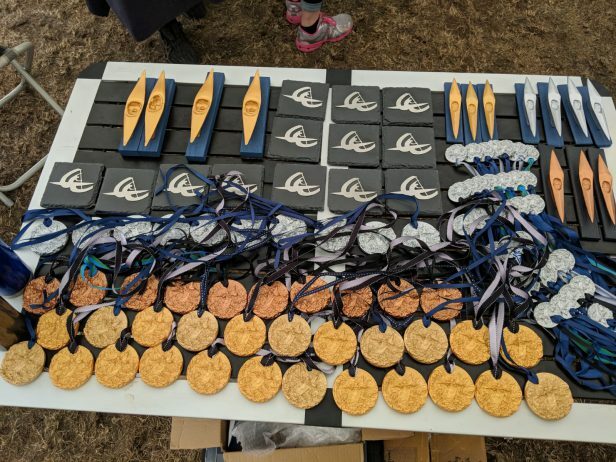 We also had some new paddlers in their first competition, in the division 4 Men’s K1 event; Marco Tirosi came 5th and second J12, whilst brother Dimities came 8th and second J10. Alex Brennan came 9th and first J16. Mel Moore raced in Division 4 Ladies’ K1 taking third place and first Master on Saturday but was to win on Sunday and also win promotion to National Division 3, well done Mel, now we need to see you at training sessions! Alex Aldred and James Read continued their doubles partnership and came 4th in the C2 event. 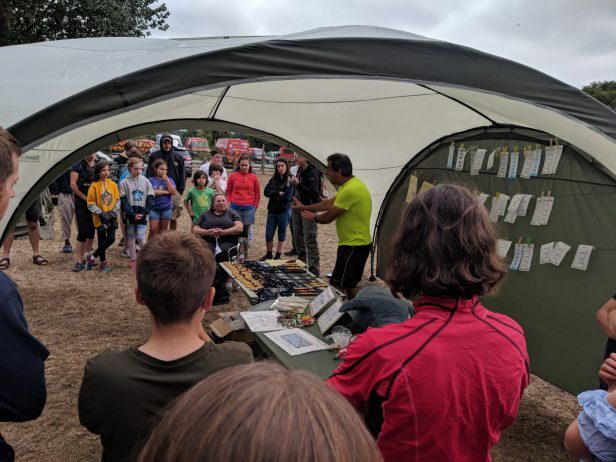 On Sunday, the entries were down, as was the water level, but we still put out a good course and had some more great results. 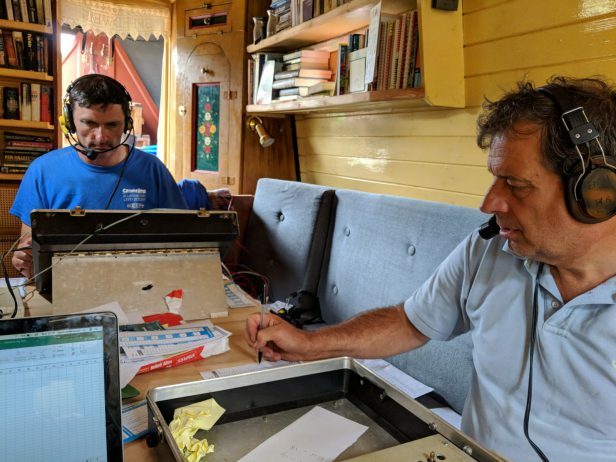 four clear runs, two of them belonging to Master, Malcolm Blowers, one to veteran, Danny Dalrimple, one to James Read in the C1 and the other to J16, James Coolin Smith in the Officials event, having been promoted to division 2 on the Saturday. Well done guys. As mentioned above it was a glorious 12th for Mel Moore, promoted with a first place in Ladies Division 4 and also for Gavriel Moussiaoff, who took first place in the Men’s K1 Division 4 event in his first ever race! Also promoted to national Division 3, and first J12, his brother Aron came third (first J10) and Barry Heath came in 4th, both Barry and Aron were also racing for the first time. In the Mens Division 3 K1 event, Khaleel Zainddin clubbed to second place (2nd J12 as well), Alex Aldred continued his bid for promotion by taking third place (1st J14) and now needing just 177 points to get promoted to national League division 2. Sam Liddy was 7th (3rd J14). James Read was again in action in the Men’s Division 3 C1, as we said, on of only four clear runs, and another first place. The Officials event was won by Grant Underwood. Clancy Docwra for the load of the field and provision of toilets for the event. Canals and Rivers Trust for the use of the site, not just for the event, but all year round. Parents coaches and paddlers from other clubs for attending.